Sierra Aitana is the highest point on the Costa Blanca. The summit of the “Aitana” is 1.558 meters above sea level, which is higher than its neighboring peak “Puig Campana” which has a height of 1.410 meters above sea level. 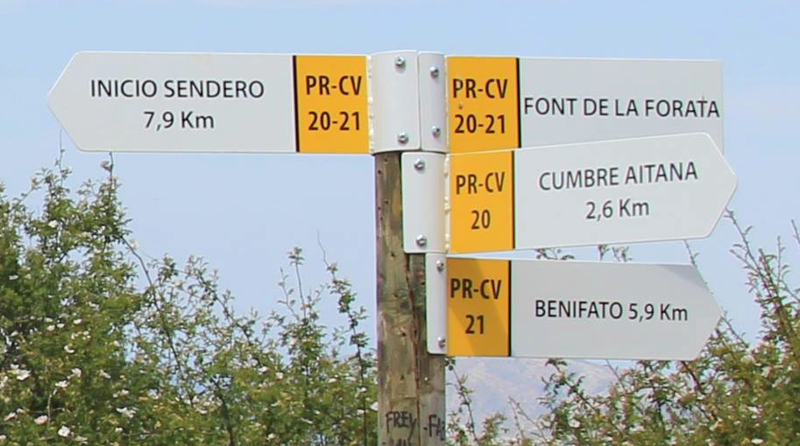 It is mainly the eastern slopes of “Sierra Aitana” that offers walkers the opportunity to enjoy the unique landscape. One of the most popular circular walking trails is the “Passet de la Rabosa”, which takes you from the “Font de Patragat” up to the summit of the “Aitana”. You need to allow about 4-5 hours for the trail.